The A557 utilizes a fully adjustable electronic ignition module pre-programmed with 14 different advance curves and rev limits. 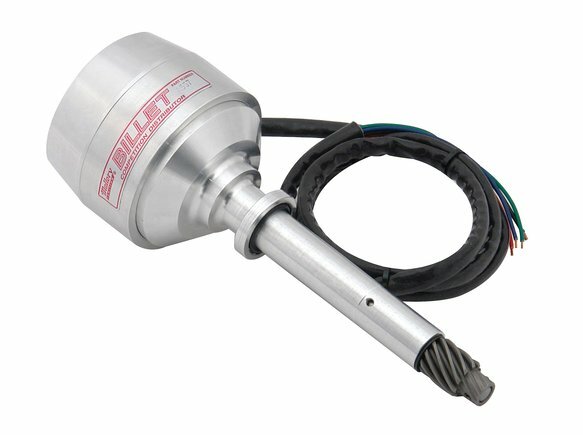 These electronic advance distributors are compatible with both kick start and electric start applications and can be installed without any engine disassembly when used with stock cylinders and heads. Note: Must use carbon core spark plug wires, do not use copper core.